Feb. 13, 2017, 1:11 p.m.
By Joseph Lichterman @ylichterman Feb. 13, 2017, 1:11 p.m.
Graham Sack had long thought that George Saunders’ work would be perfect for adaptation into virtual reality. Saunders is most well-known for his short stories, which have won numerous awards. But Sack and Saunders ultimately decided to produce a VR piece based on Saunders’ first novel, Lincoln in the Bardo, which has drawn rave reviews ahead of its official Tuesday release. The film — which Sack produced with the creative studio Sensorium and literary studio Plympton, along with visual effects firm The Molecule — needed a distributor. So Sack brought the project to The New York Times, which has invested heavily in VR and released about 20 VR projects in 2016. Many companies looking to promote their VR platforms have turned to newspapers. Google partnered with The Guardian to produce six VR videos for its DayDream headset. 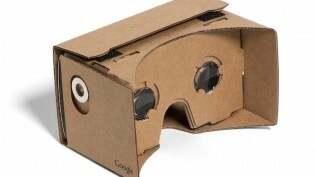 Google also distributed 35,000 Cardboard viewers to Financial Times readers last year (following a similar deal with The New York Times in 2015.) And Samsung provided the equipment for the Times’ daily 360-degree video series. “In terms of mass distribution at this point, newspapers are the only ones that have the muscle,” Plympton CEO and founder Jennifer 8. Lee, who is also a former New York Times reporter (and a member of the Nieman Foundation advisory board), said. 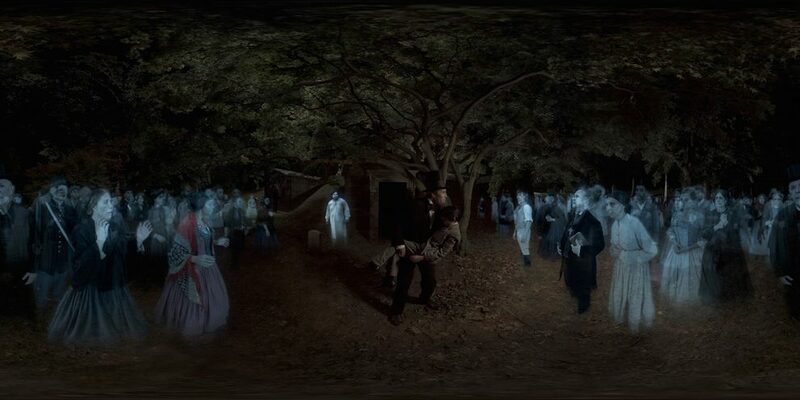 “Lincoln in the Bardo,” VR version, was released Friday in the NYT VR app. Click-and-drag versions of the film were also published on the Times’ website (it’s embedded in a Times review of Saunders’ novel) and on YouTube. A scripted adaptation of a novel is a departure from the Times’ other VR coverage, most of which has been journalistic in nature (one exception: a series of VR vignettes for The New York Times Magazine’s Great Performers issue in December). Jenna Pirog, the magazine’s virtual reality editor, said she’s regularly contacted by outside groups who are interested in partnering with the paper. Sack adapted the novel by bringing together many of the characters into one extended scene and by inventing others. The scene in which Lincoln cradles his son’s body as the ghosts that inhabit the cemetery look on is “an incredibly powerful moment in the book,” Pirog said. “That became the core of the piece. Elements and characters drawn from the rest of the book give the VR experience its own beginning, middle, and end.” The resulting film is 10 minutes long and mixes live action with green screen visual effects. Converting a novel into VR was a new experience for the Times, and brought a host of legal hurdles with it. In order not to infringe on the film rights to the book, the project had to be classified as a “VR companion piece,” not an adaptation. The production also meant dealing with things the Times doesn’t usually have to worry about, such as the Screen Actors’ Guild and child labor laws. The Times sees “Lincoln in the Bardo” project as part of its larger evolution in VR. And though the Times’ upcoming VR initiatives are focused on documentary storytelling, many of the same techniques are applicable no matter the type of project. POSTED Feb. 13, 2017, 1:11 p.m.
Lichterman, Joseph. "The New York Times’ latest VR project is an adaptation of George Saunders’ new novel." Nieman Journalism Lab. Nieman Foundation for Journalism at Harvard, 13 Feb. 2017. Web. 18 Apr. 2019. Lichterman, Joseph. "The New York Times’ latest VR project is an adaptation of George Saunders’ new novel." Nieman Journalism Lab. Last modified February 13, 2017. Accessed April 18, 2019. https://www.niemanlab.org/2017/02/the-new-york-times-latest-vr-project-is-an-adaptation-of-george-saunders-new-novel/.